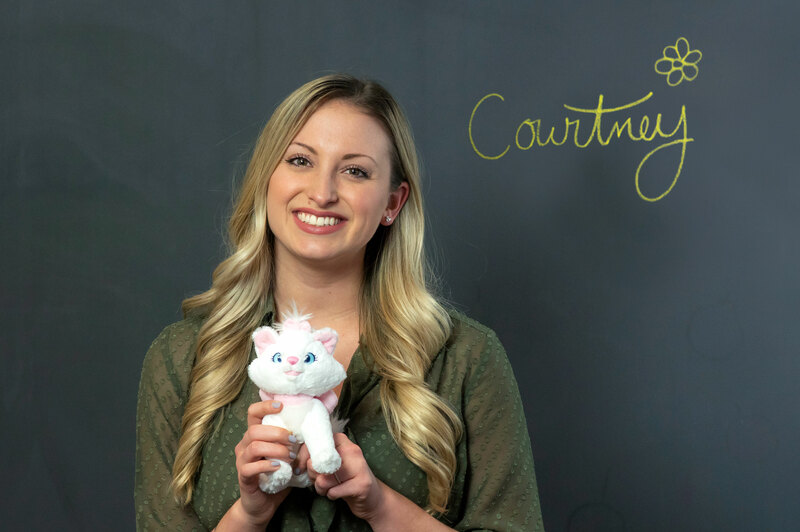 Courtney ensures her clients have the tools they need to reach their employees. She supports our consulting team with writing, planning, measurement, data analysis and project management. Courtney has worked with clients, such as American Water, Pharmavite and Einstein Medical Center. Courtney joined Davis & Company right after graduating college. In college, she worked as an extern, then shortly became part of the Davis team as a full-time employee. Courtney holds a Bachelor of Arts degree in communication and information studies from Douglass College, Rutgers University, with a minor in political science. I love being a part of big meetings. My favorite project was putting together the agenda and exercises for a three-day conference, while managing and editing more than 50 presentations. Being onsite to ensure the days went smoothly was a rewarding adrenaline rush. Knowing that my work is benefiting employees and improving organizations inspires me—making others happy, makes me happy. Wild (book and movie) by Cheryl Strayed. Where You Lead by Carole King. Cheeseburger and fries, coffee, a plate of pop tarts and ice cream.